First of all, I would like to thank Disney Hyperion Books for sending me an ARC of this book. 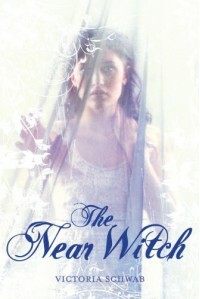 Now, The Near Witch is Victoria Schwab's debut novel and she has set the bar. Lexi lives in the town of Near where everyone knows everyone and visitor's rarely pass through. But late one night, a new guy does come through the moors and then children start disappearing. While the men try to search for the missing kids, Lexi takes it into her own hands to figure out what's going on. She uses what her father taught her about hunting and the stories he'd told to start piecing some things together. Only Lexi can't do it on her own. Will the help of the stranger get them the answers they need. From the very first page, I fell in love with Victoria's writing. The prose she wrote in was very beautiful and poetic, almost as smooth as silk, and perfect for the setting she'd created. I hated putting the book down to sleep. 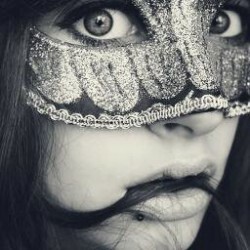 So much took place in this story: a fairytale within a fairytale, romance, and fear. The town of Near had an almost dreamlike quality for me, especially with the moors on the edge, with the descriptions of the area and the wind taking on a life of it's own. It was a character in it's own right. Victoria took her time developing the characters, adding to the build up of just what was going on. Lexi, the stranger, even the town of Near, all seemed to have a particular part to play and I loved the small things that added to it. After reading this, I definitely can't wait for more from Victoria Schwab. Her writing is unlike any I've seen in awhile and the way she weaves a story is beautiful. My hands are already itching to get ahold of her next book The Archive.